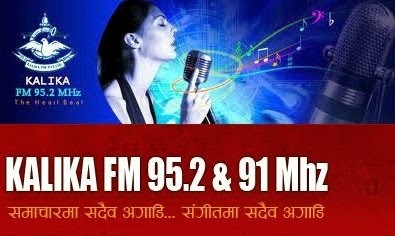 Kalika FM is the first private radio station in Nepal to install self supported, 55 meters tall steel tower, the tallest in Nepal, for that extra gain, which gives Kalika FM 95.2 the station having the widest range cover from its parent station ( without relay towers) in the entire country. To prove their dedication to reach more people with better quality reception, their station was the first station in Nepal that initiated to use 2000 watt digital transmitter. Kalika FM voice is heard and loved in more than 40 districts. Also the first ever FM stationed outside the Capital to run 24 hrs a day. As Kalika FM 95.2 is stationed in Chitwan, the heart of Nepal, Kalika FM have 90 percent of listenership in the local market alone.